I’ve been recently invited to write for the National Multiple Sclerosis Society’s blog! What an honor! They contacted me out of the blue. Apparently, they are friends of this site. Who knew? My first post on their website can be found here. Its called MS Walls. Please check it out and leave a comment! Thanks for the support. Who am I thankful for? YOU! Hang in there! I won’t say it, but most would say, “He probably would have left anyway.” But I would never say that! Do you know where I can find an article on MS and divorce? My spouse also left. Thanks. I can’t think of any particular article. I know I’ve seen it somewhere in the past. I always wondered what MS had to do with it. I still don’t understand. very cool. Nice article. Woot! 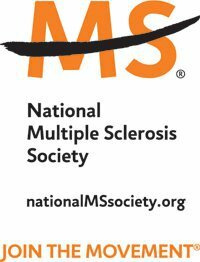 I just came across your blog for the MS Society. It’s wonderful to read about your story as it is so similar to mine. I started out with optic neuritis (twice) but no diagnosis was made until a few years later after a significant exacerbation. I learned I have MS from an ER doctor after my leg and torso went numb. Anyway, the MS Society is a wonderful resource and I am very involved with my local chapter. I have not been able to part with my suits and heels though I have not worn them for four years!! Reading through your website is great because I can relate to so much. Getting used to the “new normal” is an everyday challenge. Thank you. You are so right. It is a everyday challenge. Congratulations! It’s a well written piece. As for the use of a therapist, for me it has been an invaluable tool in maintaining my sanity and ensuring my perspective is a thoughtful one. I’M gonna make an appt Monday! Congratulations Nicole! It is a great opportunity for you — for all of us who read and enjoy your blog. Take care of yourself and your family, and be well!